Jig stripping is critical in order to keep your paint and powder coating machinery in good working order. 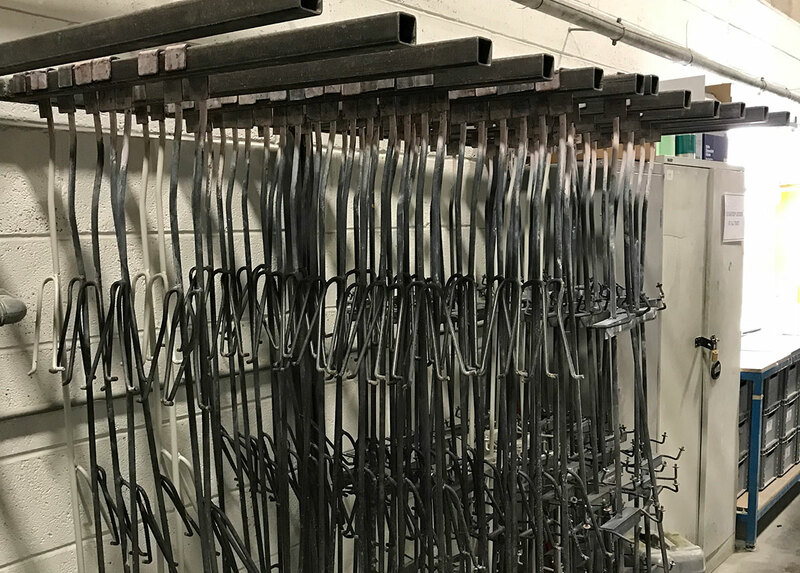 Here at Ultrasonic Cleaning Services (UK) Ltd, we are specialists in thermal stripping (Pyrolysis) for many types of jigs, hangers and hooks in order that they maintain a quality electrical contact in order to reduce reject levels and making paint and powder coating jigs more efficient and keeping the production flowing for longer. It is important to maintain a clean jig, to reduce rejected work within your business. 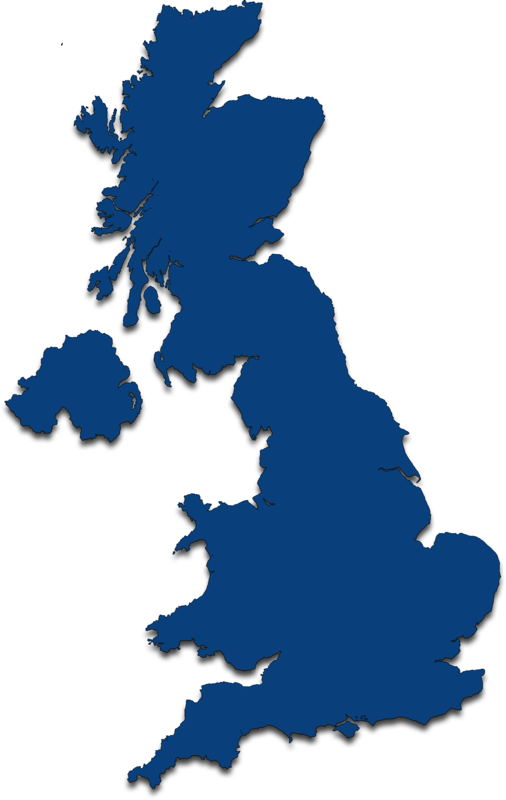 This is where we come in; we offer a fast, reliable jig cleaning service that is second to none and we have a proud reputation for the quality level of our workmanship. 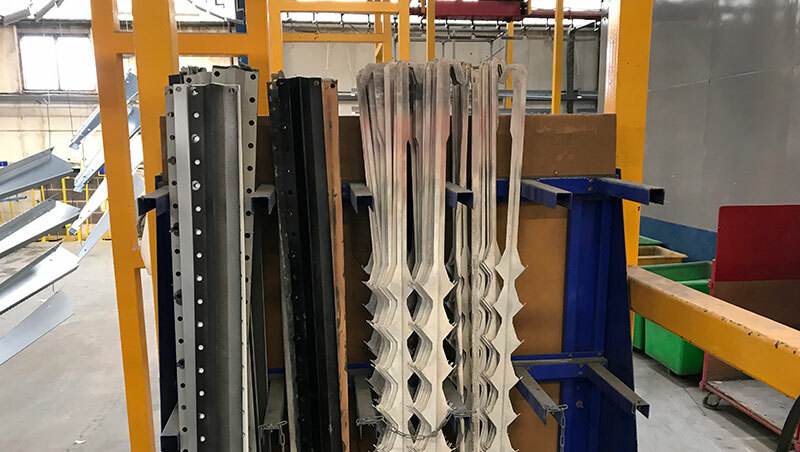 Jigs, hangers hooks, etc are run through our pyrolysis ovens where the temperature rises steadily up to 340 degrees where it dwells for 30 minutes after which it continues to rise to 420 degrees. The whole cycle is 4 hours 20 minutes. The stack is heated to 723 degrees which vaporises any emissions produced making it an environmentally friendly process so you can rest assured that you are looking after your surroundings. 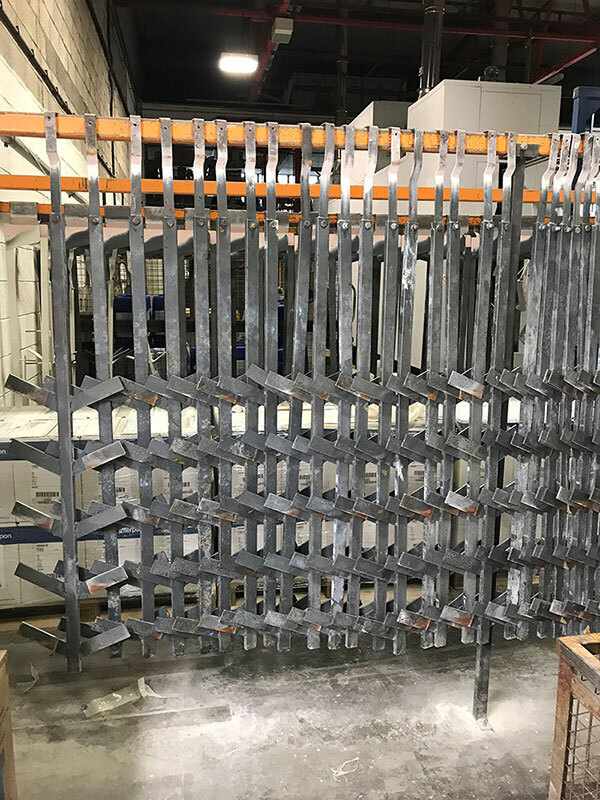 We will strip back the jig parts (including hangers and hooks) back to the metal so the components work to their full potential and help produce a higher quality output from your paint and powder coating process. 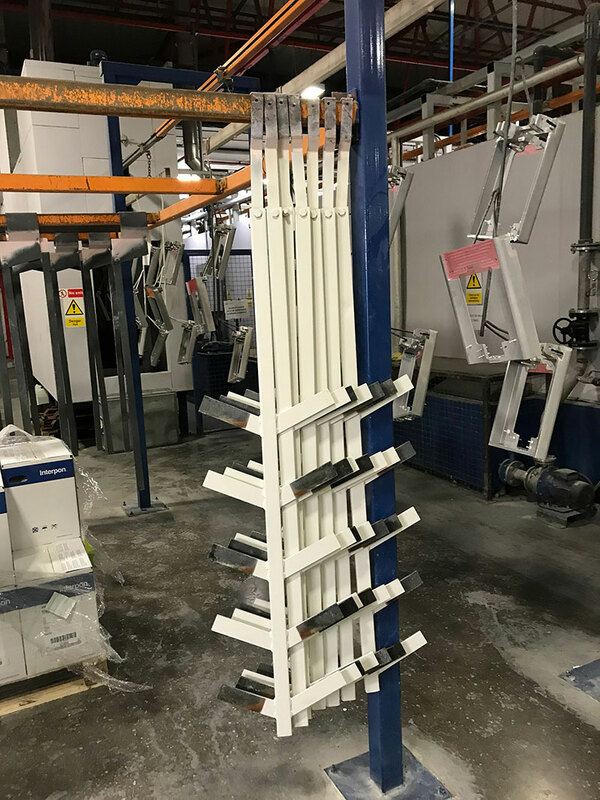 Get in touch today to find out how we can assist with maintaining the high-level output of your jigs, hangers and hooks and thus reducing non-conforming paint and powder coating output levels. In turn, helping reduce overall costs.